Arrive at Umbu Mehang Kunda Airport of Waingapu in East Sumba, you are welcomed by your guide then transfer to your preferred hotel for check-in. The afternoon takes city tour visit Prailiu as the center of traditional ikat hand weaving and stone grave of the Prailiu King. Afternoon returns to the hotel for dinner and overnight. Dinner at a local restaurant, overnight at Tanto Hotel or Elvin Hotel. After breakfast, a departure from Hotel and in the first, drive to visit Ama Nai Tukang in Kallu, a community of Sumbanese weaver, here you can see the process of weaving ikat, and other traditional textiles with their different motif. Then continue to Pau and Rende village. Both Pau and nearby Rende are royal hamlets and these tombs are an integral and very important part of life. In Kalala you can have your lunch box or provide by a family after lunch walking for a while at white sandy beaches, in the afternoon back to Waingapu, en route can stop to make some picture and see the process of making traditional palm sugar. Dinner at a local restaurant, overnight at Tanto Hotel or Elvin Hotel. Breakfast at the hotel. Drive overland to Waikabubak in West Sumba, a distance of 137 km (4 hours). On the way stops at Waibakul and Pasunga (Anakalang area) to see the greatest stone graves and traditional houses of West Sumbanese. On arrival at Waikabubak, lunch at Sumba Ate Restaurant and afternoon visit Prai Ijing, Tarung, and Tabar traditional villages, then to the local market to see the activities of local people in selling and buying their daily need and hand-weaving. Dinner and overnight at Manandang Hotel. Breakfast at the hotel. 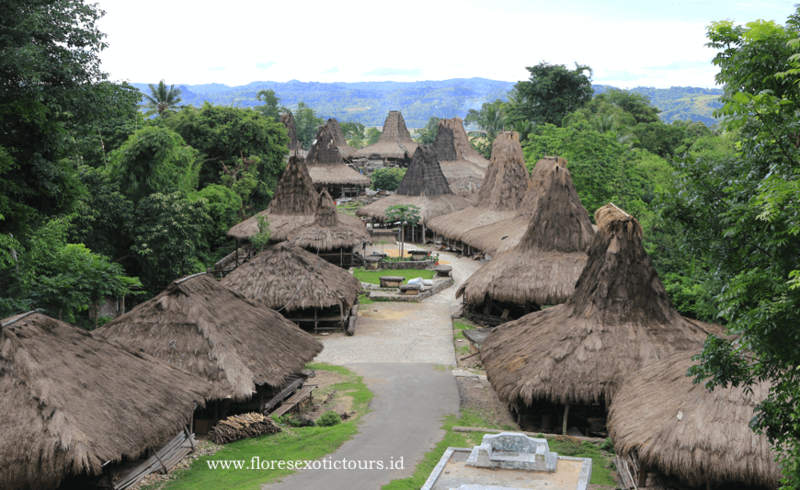 Start to explore the west part of Sumba, drive to Kodi for 2 hours to visit Bondo Kodi and Ratenggaro for traditional thatched roof and highest towering (10 meters) houses and megalithic tombs. Then walk along the beautiful and quiet beaches of Tossi where picnic lunch is served. Afternoon visits Bondo Kawangu to meet the Pasola Priester. Continue to drive to Waikabubak for 3 hours (around 65 km) with several stops according to local happenings. After breakfast drive to Sodan traditional village, on arrival direct trekking for 1 hour to see the traditional houses and the activities of local people. Then proceed to Marosi beach. Lunch box will be prepared on the beach. Afternoon return to the hotel. Dinner at local restaurant and overnight at Manandang Hotel. After breakfast transfer to Tambolaka Airport to catch your flight back to Bali.